As characters learn and evolve, they earn Beats. When they have gained five Beats, they are converted to one Experience (sometimes abbreviated as "XP"), which can be spent to improve traits. Active characters earn one Beat every three days. This amount to approximately 10 Beats per month, which converts to two Experiences. It is also possible to earn additional Beats as rewards for involvement in plots and events, displaying exceptional character development, and other character achievements. Teens and Children: Each dot in a given trait represents a fairly broad range of ability. Youths are still learning the fundamentals upon which these traits are built. As such, the experience point costs for increasing traits are higher for teens (9th-12th grade) and children (8th grade and below) than for adults. No, not these kinds of brownies. 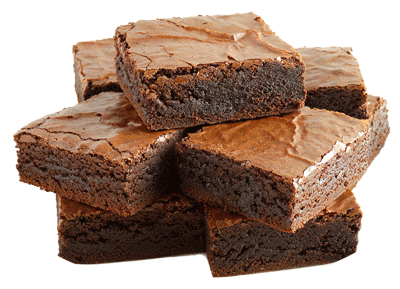 Brownies are earned in game as rewards from fellow players for role-playing, and from staff for contributions to the game. The more active a player is, and the more they do to contribute to the game's growth and improvements, the more Brownies they will earn. Your current Brownie totals can be seen in game with the +brownie command. Brownies are a player reward, not a character reward. This means that, unlike Beats and Experiences, Brownies earned on one character can be spent on Benefits for any of that player's characters. Role-play — The more people you play with, the more Brownies you'll likely earn from them. Report bugs and glitches — Notice a problem with the code in the game? Discover a dead link on the wiki? Let us know, and be rewarded. Run a Storyline — Have a plot idea that you think you can run? We encourage player-run plots. The more players you involve, the more Brownies are in it for you. Be Helpful — Welcoming Guests and helping them find their way around the game and wiki, answering player questions, and generally being a friendly and helpful member of the community can earn Brownies. Work for the Game — Writing descriptions for locations or NPCs, writing material for the wiki, making maps, coding, etc. If staff needs the help, you'll be paid for your labor with Brownies. See the Wiki Tags page for a list of wiki pages that need kind of help mentioned above. Give Feedback — Staff often looks to the community for feedback before making big decisions, typically in the form of OOC discussions in game, or polls on the BBoards or Facebook page. This is far from a complete list. Brownies may be awarded by staff at their discretion. The gist of it simply that when you do something to improve the quality of the game, you are rewarded with Brownies. Players may earn extra Brownies for creating characters of certain types that sometimes don't get enough attention. These rewards are cumulative. All Brownie rewards for these incentives may be claimed only after participating in a minimum of six scenes. Logs must be posted on the wiki for credit. Include links to the first and last scene logs in your +request. Participation means a significant contribution to the scene (i.e. more than just a few lines or a "cameo"). Born and raised in the valley. A youth, aged 11-18, attending school. A non-magical person born to a wizarding family. Create a complete character for the roster. Player may pool Brownies to purchase this Benefit. The roster character must be connected to the purchasers' characters, such as a family member or close friend. SPECIAL: This is a limited-time offer before Roster characters will cost Brownies to create! When considering any of the Brownie Benefits, there is something important to keep in mind. If your character concept will only work if it can be a werewolf, or an animagus, or have a special magical item, etc., then the concept isn't likely to be approved. These Rewards should never be the core of a concept. Characters built around the idea of being a particular race or having a particular power tend to lack the depth and RP hooks of characters designed without them. Start with a normal version of the character you want. Make sure it is an engaging character without anything special. Then find an interesting way to insert that special trait. This will not only improve the likelihood of being approved for the Brownie Reward, but will also mean that if it is not approved, you still have a complete and interesting character ready to go. With the expenditure of Brownies, you can gain access to certain "Benefits" in the game, such as restricted Origins or Merits. Please note that these Benefits are still subject to approval, to make certain they fit the theme of the game. If you are asking for something especially unusual, a higher Brownie cost may be required (if approved at all). To apply for one of these Benefits, go to the Brownie Exchange and follow the instructions there. The Brownie Exchange can be found in game adjacent to the OOC Center. As mentioned above, you can use Brownies from one alt to pay for a Benefit on another. However, you cannot spend your own Brownies on a Benefit for another player's character. The exception to this is a handful of rewards that allow Brownies to be pooled for purchase (these rewards are indicated by a ‡ symbol). Brownie expenditures are nonrefundable. Once spent, they are gone. If you purchase something for a character that you later retire, your Brownies are not returned to you. This includes Merits that are refunded by the Sanctity of Merits rule. Brownie costs for special Merits are given on the Merits page. Need a little boost to your stats, but your Experience is empty? Brownies can be traded in for bonus Experience. Have an image of your character photo-manipulated for something easy and minor, such as changing eye color. Have an image of your character photo-manipulated for something relatively simple, such as changing hair color. Have an image of your character photo-manipulated for something moderate, such as putting a character in different clothing. Have an image of your character photo-manipulated for something difficult, such as turning someone into a goblin or house-elf. Create a complete character for the roster. Player may pool Brownies to purchase this Benefit. The roster character must be connected to the purchasers' characters, such as a family member or close friend. Temporary financial gains for a one-time purchase at increased Wealth. For example, a family at Resources ●● (Comfortable) comes into a small inheritance, and uses it to purchase a high-priced broom of their child that would normally require Resources ●●● (Prosperous). This option is much more likely to be approved than an actual increase in Resources. Players that are sharing Resources (such as a family) may pool Brownies to purchase this reward. The cost for a character with Resources 0 is 25 Brownies. Your character comes from another country and culture, outside of the fifty United States. Note that characters that would have attended magical schools that do not teach the Sorcery paradigm (see Sortilege) are unlikely to be approved until such time as an appropriate paradigm is developed for the game. This reward must be purchased during character creation. Certain spells have a Brownie expenditure to learn. See individual spell descriptions for costs.